Given an infinite amount of money, or even a very large finite amount, I would own this bag in an instant. 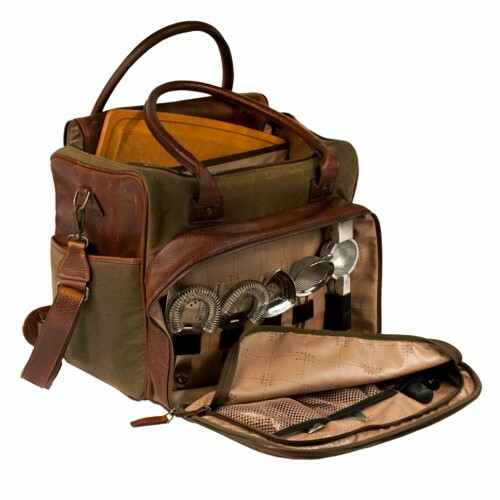 A collaboration between mixologist Jim Meehan of PDT in New York and Moore & Giles, this bag is the bartender’s equivalent of the old timey doctor’s bag. Made of quality materials with serious attention to detail, it’s sufficient to say that I want it. Lust might be a better word though.